Families often struggle with deciding when it may be the right time to explore options for a loved one living with memory concerns. Quite often it feels easier to ignore the signs and keep moving forward because it can feel very overwhelming to think about what to do next. There is no textbook answer or playbook on timing when it comes to someone we love. Every decision is personal and quite often complex. Coming to terms with memory impairment in a parent or someone else we treasure can be difficult and emotional. As the holidays are approaching, many will be visiting their parents and other seniors who are important to them. This is a very good time to openly evaluate a loved one’s living situation to ensure they are maintaining a quality of life that is safe, healthy, and engaging. There are some signs to look for when concerned about a loved one’s memory loss. Is your loved one taking care of themselves at home? Are they managing their personal hygiene ok? Does your loved one look different? Are they having trouble moving around? Are they losing weight? Do they seem sad or distant to you? Are they withdrawn? Are they no longer participating in hobbies that once were of interest to them? Are they no longer socializing with friends? Is your loved one safely and consistently taking their medications? Are there signs of missed doses or missing pills? Are medications expired? Is your loved one eating ok? Are they able to make themselves something to eat? Is there fresh food in the refrigerator or do you notice expired food that could make them ill? Have they been keeping their scheduled appointments to the doctor? Do you notice any concerns about personal finances such as past due bills, loss of services to their home, or mismanagement of accounts? Do you observe signs of clutter or hoarding or other physical concerns in their home? Do you find yourself helping them more or worrying about them more? These are some signs that it may be the right time to explore a senior living community for your loved one. As winter approaches, families tend to worry more. What if my Mom falls on the ice or my Dad tries to shovel during a snowstorm? What if my Aunt wanders away from her home in the cold? What if my Grandfather doesn’t remember to buy oil to heat his house? These concerns are all natural for those of us caring for a loved one with memory impairment. It is important to explore your options, to determine what is best for your loved one, and to create a plan that will ensure your family member is safe and well cared for. The Watermark at East Hill offers families a solution when seeking a dedicated memory care community. 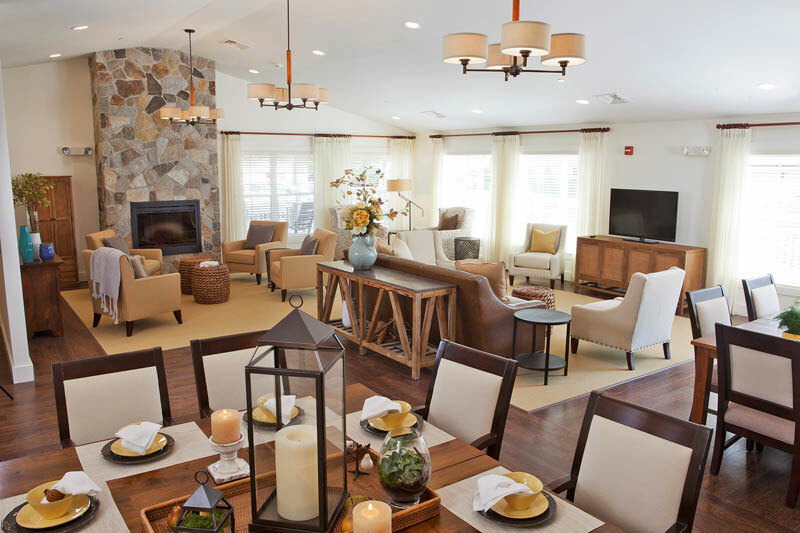 The Villa, located on the main campus at East Hill, provides an opportunity for residents to live as independently as possible in the comfort of their own home-like setting. The community is purposely smaller and more intimidate providing a personalized experience for those in need of memory care where they can feel safe, well cared for, and loved.